If you are looking to brighten up a shady location in your landscape with blasts of color, then Gold Dust Aucuba will fill that need. 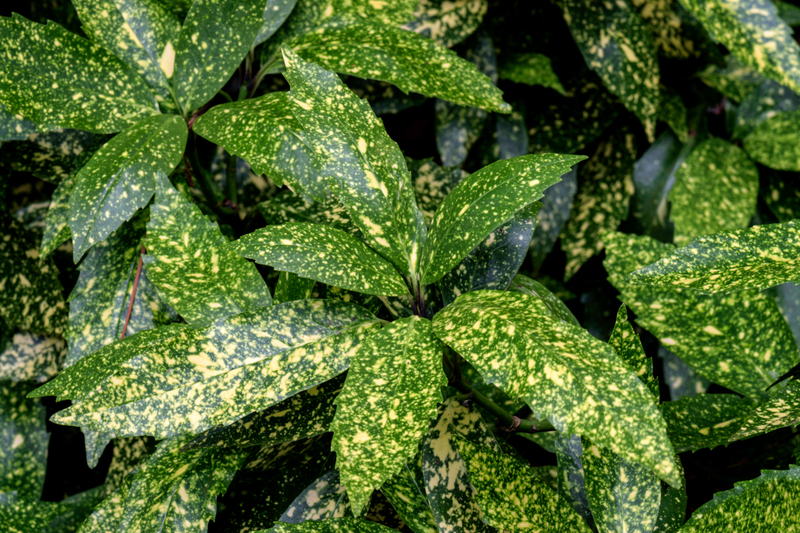 It’s easy to see where the plant gets its common name Gold Dust, as the large, evergreen leaves are green and with so many speckles of yellow, that from a distance it can look like the plant’s foliage is yellow and lacking any green. The leathery and glossy foliage grows up to 7 inches long and 2 inches wide, densely filling plants that reach up to 10 feet tall and 6 feet wide at maturity. Gold Dust Aucuba is a true shade-lover and won’t perform well if planted in a sunny location. It doesn’t only tolerate shady locations in the garden as many plant do, but it must have shade for good growth. It’s often hard to find a hardy plant that brings color to shade gardens, so have no fear because Gold Dust Aucuba not only thrives in shade but offers year-round color too. 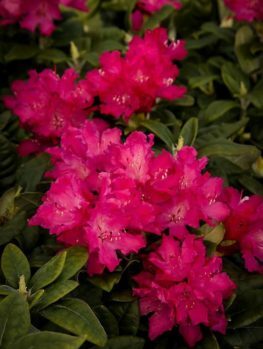 If it is planted in a site that is too sunny, the foliage scorches and then turns a crunchy black, so shade is a must have for the best looks and performance. 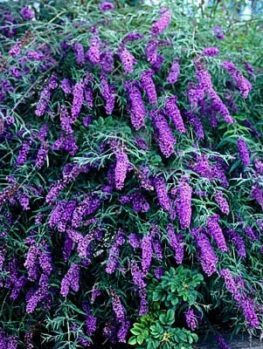 The slow-growing, broadleaf evergreen produces insignificant brownish-purple flowers in spring and female plants then produce clusters of small, red berries that mature in fall and remain on the shrub into spring. However, due to the dense foliage the berries may be hidden among the large leaves. Male plants do not produce fruit. It should be noted that the leaves and berries are poisonous. Gold Dust Aucuba plants are the most tolerant and suffer the least damage grown in warmest locations of zone 7 and below. Those living in cooler locales can still grow the plant as a houseplant or in containers and bring the pots indoors when the cool temperatures of winter strike. If your location sometimes receives cooler weather, grow the Gold Dust Aucuba in a protected location in the landscape and pile mulch around the roots to assist in winter protection. Although the plant typically has a slow to moderate rate of growth, regular feedings throughout the growing seasons of spring through summer help speed things along. If you are growing the Gold Dust Aucuba in a container, use a water-soluble blend or slow-release granules. The shrub takes on a dense, rounded and upright form and may require pruning to control its size or shape. Pruning is best done spring through summer, which will also thicken its growth, creating even more density. 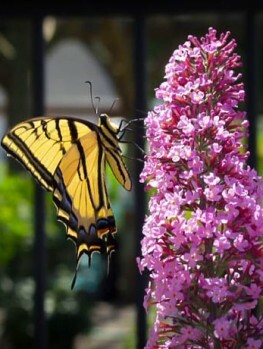 One of its attributes is its low maintenance requirements, and it’s rarely bothered by pests or disease problems. However, when grown indoors spider mites can occasional be a problem but are easily treated with Neem or an insecticidal soap. Once established, it is fairly tolerant to drought conditions and is moderately tolerant to salty environments, making it suitable to grow along coastal locales. Gold Dust Aucuba won’t perform well and can develop root rot problems if planted in soils that are too heavy and retain too much water like clay. It’s best to amend these sites with organic materials or grow on a mound. The shrub tolerates the pollutants found in city locations. Besides growing well as a houseplant, Gold Dust Aucuba fulfills a variety of needs within the landscape. 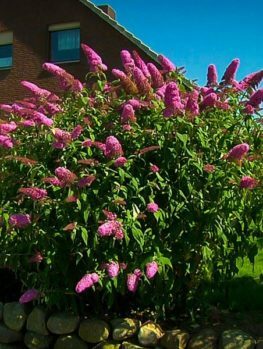 Whether you are looking for a formal or informal hedge or screening plant, the tall-growing shrub fits that need perfectly. With a bit of spring pruning you can control its size, or allow it to grow to full-size and take on its natural form. However you’d like to use it, it’s dense habit of growth makes perfect use for privacy or outlining a portion of your landscape as a hedge. Many times, shady locations of the garden lack color, but this isn’t so with Gold Dust Aucuba. It makes a bold statement with its green and yellow foliage used as a backdrop in woodland gardens or used as a specimen to draw attention to the area. 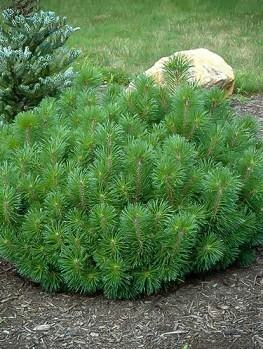 With its lush evergreen habit, you are sure to bring color and interest to the area all year long. It also works well used as a foundation planting. Gold Dust Aucuba grows well in tubs, pots or planter boxes, provided it receives regular water when the soil begins to dry. Dress up a shady entranceway or porch with its bright foliage. In addition, if you live in a coastal area where many plants don’t tolerate the salty conditions, Gold Dust Aucuba thrives, provided you don’t plant directly along the ocean’s edge. Besides being a shade-lover and performing best in a shady to partially shady location, Gold Dust Aucuba grows in a wide range of soils (provided they drain well). However, for the best results, plant the shrub in fertile soils that have good drainage. 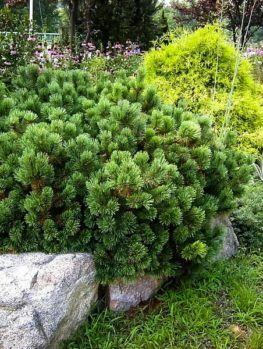 When planting multiple plants or close to a structure, always consider the shrub’s mature height and width so you give them adequate room to spread without interference. Although relatively drought-tolerant, for the first season of growth and while the roots establish themselves, water deeply once to twice weekly, depending on your local weather conditions and especially if your conditions are hot and dry. 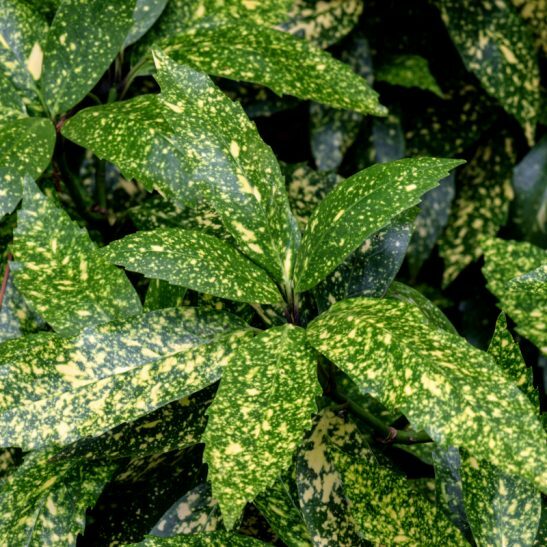 Aucuba japonica is native to the shaded and moist woodlands of Japan, Korea and China. 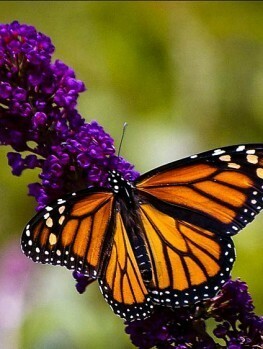 In 1783, it was introduced in England by John Graeffer and thrived in heated greenhouses. By the 19th Century, it became widely cultivated by gardeners nicknaming it the “Gold Plant” due to its colorful yellow and green foliage. In the 1860s, Robert Hall, who introduced Hall’s honeysuckle that now has become invasive in the Eastern United States and taking over large swaths of woodland areas, introduced the plant to gardeners in the U.S. 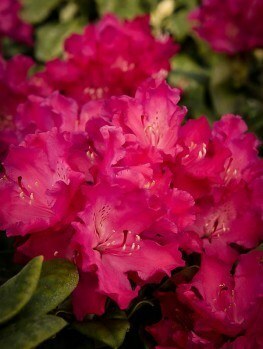 Since then and due to its hardy nature and shade-tolerant qualities, the plant has become an old-time garden favorite. All our Gold Dust Aucuba plants are grown their entire lives in containers in a nursery environment with all their needs and considerations met. Be assured when your receive one of our Gold Dust plants it’s been nurtured to live a long, happy and healthy life in your garden environment.